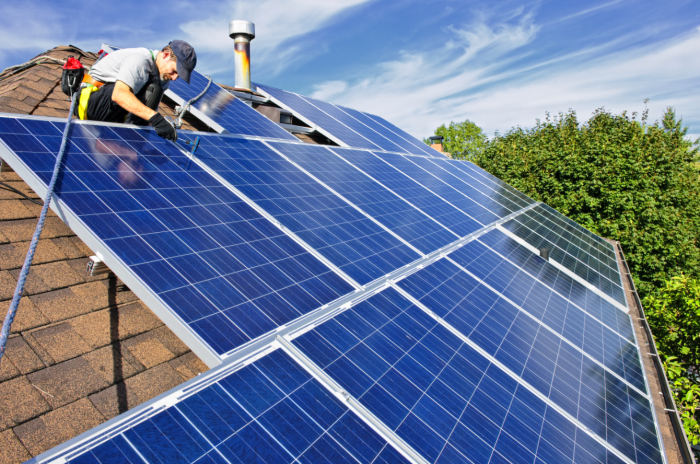 How does the Feed-in Tariff scheme work? What sources of energy can be used in the FIT scheme? Can I switch energy suppliers with a FIT? Can I switch my FIT? Which suppliers are FIT licensees? Have you ever considered joining the FIT scheme? Or are you a part of it, and you want to know if you can switch energy supplier? In this guide, you’ll certainly find out everything you need to know about switching with a feed-in tariff, including what exactly it is and what you can do. Let’s dive in and find out more. A feed-in tariff is where you install a renewable energy source such as solar panels, which not only help to lower your energy costs, but the excess energy can be sold back with something called a FIT or feed-in tariff. To be in a part of a scheme, your household needs to have an energy rating of D or above. If your rating is below D there are different costs. So, firstly you will have installed a new renewable energy source to your home. The easiest and cheapest option is usually having solar panels, which usually cost around £4,000 to buy and install. Then, your home will take most of the energy it generates which can dramatically reduce your annual energy bills. After that, your excess energy will then be fed back to the grid. Hence, the feed-in tariff. The money you will get for the energy you put back into the power grid depends on your energy company and the scheme. Also, the type of energy source you are using to produce renewable energy. You could even end up making around £400 using your feed-in tariff, so it’d be good to look into your opportunity with the FIT scheme. So, it’s not just about solar panels. There are also other ways of getting the FIT with different sources of energy generation. Take a quick look below to find out more. The good news is, you don’t have to buy your energy from the same supplier that delivers your FIT scheme. This means that it doesn’t matter if you want to switch energy suppliers, as your FIT licensee will still give you FIT payments. Although you can switch energy supplier freely, it’s more complicated when it comes to the FIT licensee. You could switch your FIT supplier. However, it’s important to note that the rate you are paid for your energy is decided by Ofgem, not your energy company. Another benefit is that you could receive better customer service from another supplier, or perhaps a quicker payment. So which companies are FIT licensees? Finally, take a look below to find out which energy suppliers are mandatory FIT licensees. Are you ready to compare or switch energy suppliers? Did you know that you could be saving over £200 annually on your energy bills every year?